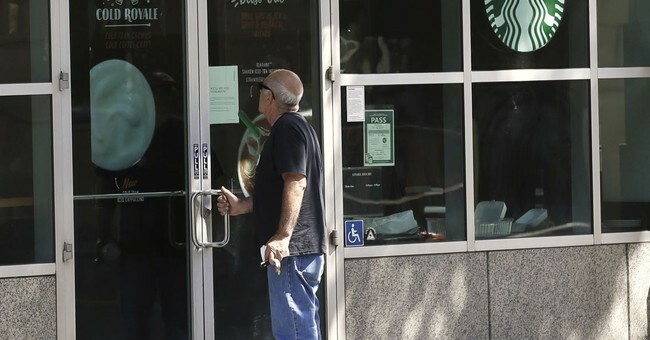 In May, Starbucks closed all of its more than 8,000 U.S. stores for an afternoon so that their employees could participate in “racial bias training” following an incident in Philadelphia in which a store employee called the police on two black men who were arrested for trespassing. Starbucks Chief Financial Officer Scott Maw reportedly acknowledged that the incident “had an impact” on the low same-store sales growth rate of 1 percent expected for the quarter beginning next month. "In this last quarter, we had an unplanned initiative related to the incident in Philadelphia that culminated in closing stores," Johnson said on a call from the Oppenheimer Consumer Conference, according to CNN. "It is not an excuse," for the 1 percent growth rate, Johnson added. Starbucks plans to improve its food options and shift from sugary drinks to "lean into more plant-based beverages." "We're putting more of our energy into that afternoon day part and the portfolio of beverages that are offsetting some of the declines we're seeing in Frappuccino beverages," Johnson said.